Big buildings and giant American flags call for huge flagpoles, huge industrial grade flagpoles. 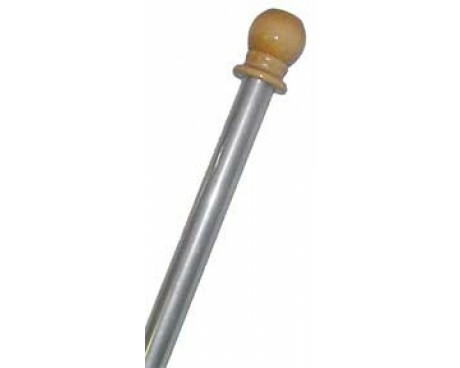 The weight a wind drag of a large American flag puts a lot of stress on a flagpole and it's important to get the heavy duty flagpole that is made and rated for your location and purpose. Gettysburg Flag Works is proud to offer commercial flagpoles as well as the expertise to either install or assist with the flagpole installation. 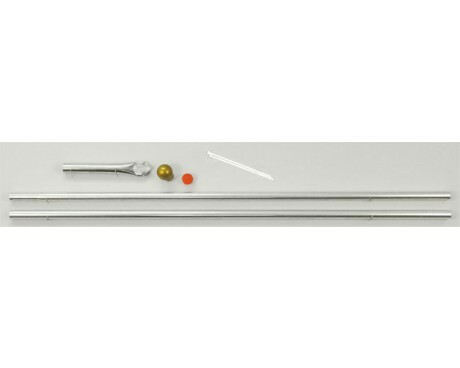 For minimal maintenance, we also offer all of the necessary hardware and accessories to make your new flagpole look great! Aluminum is the preferred choice for most commercial flagpoles. 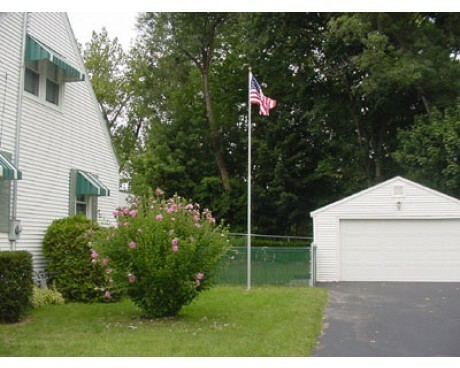 Aluminum flagpoles are available in stock sizes up to 100' and can be done larger as needed. 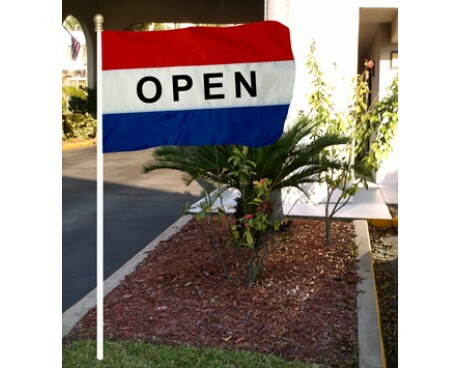 Commercial flagpoles are made to withstand high winds and heavy flags as well as to be secure from theft. 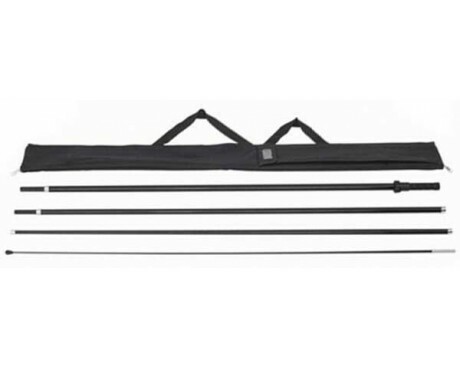 Internal halyard flagpoles are theft resistant and come with one or two halyards for displaying more than one flag at a time. 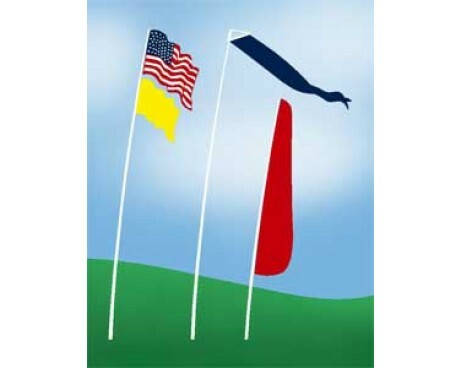 Call or use our quote request form for help choosing a flagpole that suits your local wind ratings. Fiberglass is another beautiful option for large flagpoles. Fiberglass is a smooth, strong material that can be custom colored. Fiberglass is a great option for a lightweight pole that can handle salt air and corrosive atmospheres without changing color or functionality. An overlooked style of commercial flagpole, is the advertising flagpole. This type of pole is often a temporary display that holds advertising flags near the road to catch attention to a business or even. 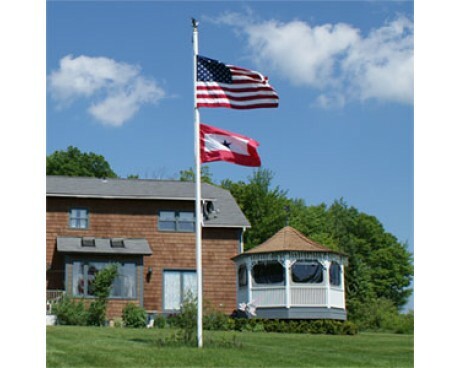 Gettysburg Flag Works is proud to offer several sectional or telescoping flagpoles are available to suit your needs. This is a perfect solution for a grand opening, huge sale or outdoor event. We offer feather flags, blank flags and message flags to create a striking display.